UFT Universal Suspension Toyota type forklift seat specially designed for forklift and other industrial vehicles. 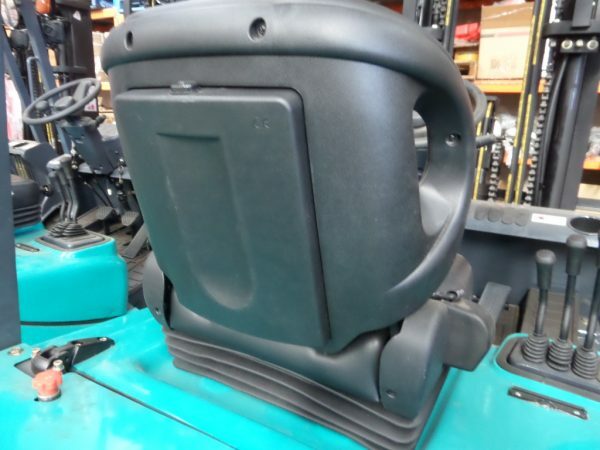 The cushion and the backrest are both manufactured by employing vacuum foaming and forming techniques. 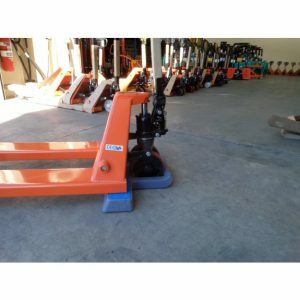 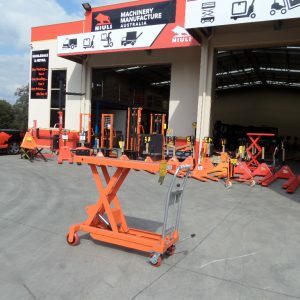 Suitable for most forklifts, bobcats, skid steers, excavators, tractors, etc. 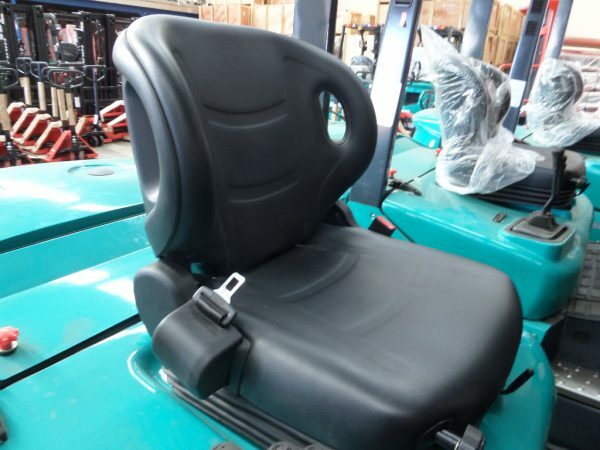 The seat is manufactured from heavy duty black vinyl on a sturdy steel frame. New forklift seat including the seat belt ready to fit. 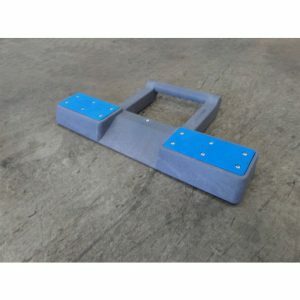 This is a Toyota type suspension seat and can be fitted to most forklifts or heavy machinery usually using the same holes. 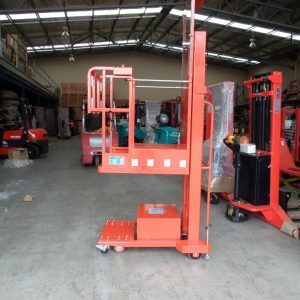 There are various mounting points to suit most applications. 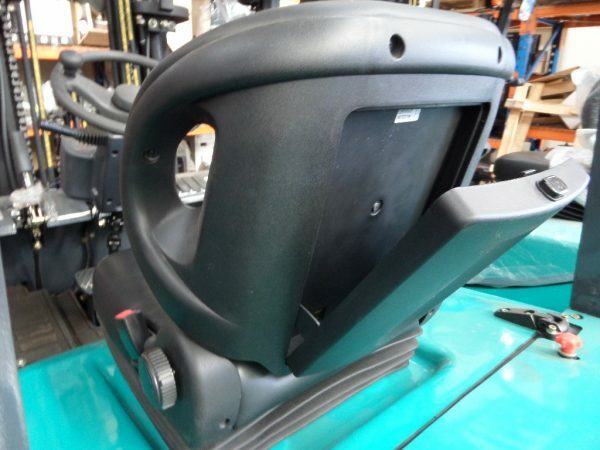 The seat has adjustments to suit the operator including back upright and lower cushion as well as being adjustable forward and back. 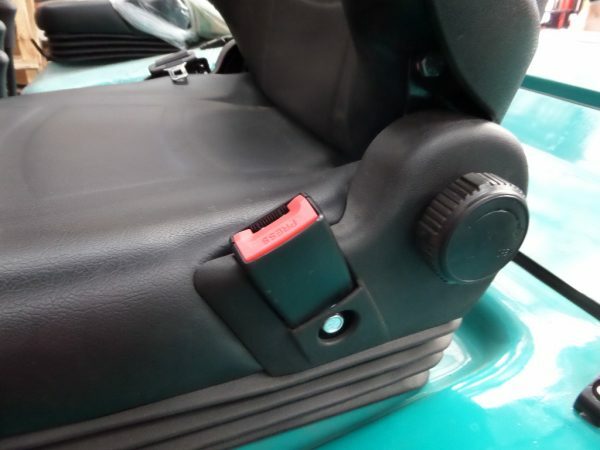 Full suspension, adjustable backrest that can fold, retractable seat belt, document holder and switch.